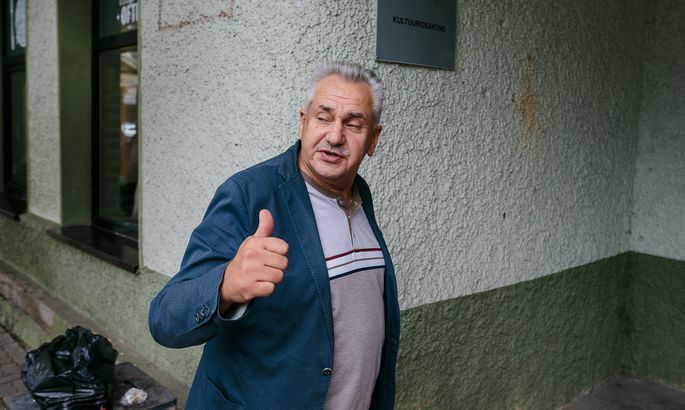 The Viru County Court on Wednesday evening approved a two-month detention for Aleksei Voronov, member of the Narva city council suspected of large-scale corruption. According to the prosecutor, the placing into custody of Voronov, suspected of violation of the requirements for public procurement with the aim of providing an advantage to a participant in the procedure and accepting of a bribe and soliciting of a bribe on repeated occasions and on a large scale, is justified. Officers of the Central Criminal Police detained Voronov early on Tuesday morning. On Wednesday, the Central Criminal Police detained Narva city council member and chairman of the supervisory board of water services company AS Narva Vesi Vladimir Mižui, regarding whom there are grounds to suspect him of accepting bribes in return for using his position as an official to declare work carried out in the framework of a procurement to be of good quality and confirm the acceptance of the work carried out. In addition to Voronov, several other officials have been declared suspects in bribe-taking as part of the same investigation, while six people have been declared suspect in accordance with their respective roles in violation of the requirements for public procurement, bribe-giving, accepting of bribes, arranging a bribe, counterfeiting of documents and use of counterfeited documents. It is suspected that making use of his official position, Voronov, member of the board of AS Narva Vesi, created a position of advantage to people he knew in comparison with other participants in a tender. He adjusted the terms of the tender to be suitable for the favored persons and made it possible for tender offers to be changed in the course of the tender, thereby securing the success of people he knew. As a member of the council, Voronov helped with obtaining a construction permit from the Narva city government and endorsement of tender projects. In return, he allegedly received a bribe of nearly €60,000. At the moment, suspicions have been lodged against eight persons. It is not ruled out that the number of such persons may increase, the Viru District Prosecutor’s Office said. The investigation is being carried out by the office for the investigation of corruption crimes of the Central Criminal Police and supervised by the Viru District Prosecutor’s Office.